The present chapter discusses an analysis of land cover change based on the enhanced transition matrix, and provides a detailed interpretation of the results of the case study chosen: a protected area in the region of Madrid (central Spain) between 1990 and 2000. The method adopted introduces concepts and indicators to study the statistical information contained in the transition matrix in greater depth than with the traditional approach. 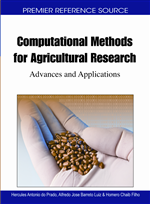 The chapter describes all the formal, theoretical and practical aspects of the method, along with the preparation of the data and the analysis of the results. The method proved to be useful for synthesizing the land changes observed and identifying systematic transitions. While changes in land cover may be the result of natural processes, such as in the case of forest fires, today and in recent history, most such changes can be attributed to human activity (Briassoulis, 2000). They are, in fact, one of the main indications of the economic and social development-related pressures exerted on the land. These changes have important environmental consequences, including loss of biodiversity, soil degradation and climate alterations. Land-cover changes may follow different patterns depending on the socio-economic processes (urban development, intensified farming, deforestation) taking place in an area. For this reason, the analysis of the nature and intensity of these changes has received significant attention in economic, geographic and ecological studies. Moreover, it has become one of the most relevant tools for recognizing the elements that generate friction between human societies and the ecosystems that support them (Murray et al., 2005) and for defining ways to ensure more sustainable long-term development. In a matter of only a few decades, survey- and sampling-based land cover and land use analysis (Peña et al., 2005) has given way to geographic information system (SIG) imaging and techniques to study and visualize land cover change (Mast et al., 1997). The many methods at hand for detecting change can be grouped under two main categories: (1) methods that use images or bands from different dates and a variety of techniques to detect change (Lu et al., 2004; Coppin et al., 2004); and (2) methods based on the comparison of two previously classified images to analyze change a posteriori (Van Oort, 2007). The data used here, taken from the Corine Land Cover Project, are of the second type. The purpose of the present study is to report on the analysis of land cover change based on an enhanced transition matrix, i.e., a transition matrix including the improvements and procedures proposed by Pontius, Shusas and McEachern (2004) and Pontius and Malizia (2004). The methodology deployed makes no pretence about originality. The aim, rather, is to provide a detailed and didactic explanation of the method to further the understanding of its fundamentals and utility, as well as a conscientious interpretation of the results of the case study conducted. The area studied is protected land area in the southwestern region of Madrid, in Central Spain, while the period, 1990-2000, was chosen on the grounds of data availability. The problems associated with land cover change are more sensitive in areas subject to some type of environmental protection. More than that, in many cases the mere fact that change takes place in these areas is an indication that the protective measures are ineffective. The study of such lands is, then, of particular interest and justifies the present choice. European Union Directives 79/409/EEC and 92/43/EEC establish a framework for nature conservation policies. The former, commonly known as the Bird Directive, aims to conserve, maintain or restore a sufficient diversity and area of habitats to protect wild birds naturally occurring in Europe. To this end it promotes the delimitation of Special Protection Areas for birdlife (SPA). The second, the Habitat Directive, which deals with the conservation of the natural habitats of wild fauna and flora, constitutes the EU’s core legislation on biodiversity. The main purpose of this directive, which includes and expands on its predecessor, is to contribute to guaranteeing biodiversity by conserving the natural habitats of wild fauna and flora in Europe. To this end, it promotes the designation of Special Areas of Conservation (SAC) and the creation of the Natura 2000 Network, which encompasses both SPAs and SACs.